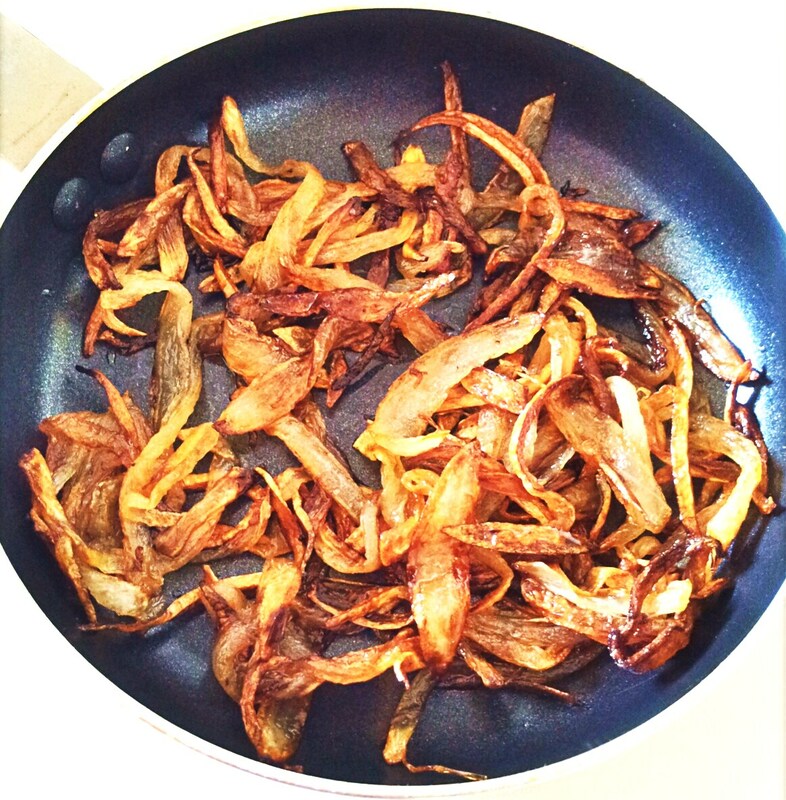 - Cut onion in thin strips. - Heat olive oil in a sauce pan and add onions. - Sprinkle a little salt over to get it caramelized faster. - Saute it till dark brown in color. - Transfer it to some bowl and keep it open for a few mins. It will be crispier. - Can be stored in air-tight container in refrigerator for 2-3 days.